FUR is used in reference to the hair of animals, usually mammals, particularly those with extensive body hair coverage that is generally soft and thick, as opposed to the stiffer bristles on most pigs. An animal with commercially valuable fur is known within the fur industry as a furbearer. The use of fur as clothing and/or decoration is considered controversial by some people: most animal welfare advocates object to the trapping and killing of wildlife, and to the confinement and killing of animals on fur farms. Fur clothing is clothing made of furry animal hides. Fur is one of the oldest forms of clothing; thought to have been widely used as hominids first expanded outside Africa. Some view fur as luxurious and warm; however others reject it due to moral beliefs. The term 'a fur' is often used to refer to a coat, wrap, or shawl made from the fur of animals. Controversy exists regarding the wearing of fur coats, due to animal cruelty concerns. Fake fur, also called fun fur or FAUX FUR, is any material made of synthetic fibers designed to resemble fur, normally as part of a piece of clothing. It was first introduced in 1929 and has been commercially available since the 1950s, but its increasing popularity has been credited to its promotion by animal rights and animal welfare organizations which claim that it is an animal-friendly alternative to traditional fur clothing. A Black Legacy, Wrapped Up in Fur - "As soon as black women could afford to buy mink coats, white society and white women said fur was all wrong." Anna Wintour on fur and the climate crisis - "In a rare interview, fashion's head of state and editor-in-chief of Vogue responds to questions concerning fashion's impact on the environment and fur." Best Faux Fur Brands That Look Like the Real Thing - Investopedia. Chanel Becomes the Latest in Luxury Fashion to Ban Fur & Exotic Animal Skins - TIME Magazine. Coyote fur is a booming fashion trend. But is it ethical? - "The pelt trade is thriving thanks to a fad for Canada Goose parkas, but animal advocates are calling for a boycott." Donatella Versace signals end to use of real fur at fashion label - The Guardian. Frette fur throws - since 1860. Fox & mink. From haute fourrure to haute couture - "How Fendi has adapted to fashion's fur free era." FUR INSIDER - since 2010. "Created to provide a space to discuss the latest news in fur fashion." How to tell if faux fur is actually real - The Guardian. If you wear fake fur, you are dressing up as an animal killer - The Guardian. Is All Fur Bad Fur? - The New York Times. Kolinsky Fur - "The most desirable in the fur industry." Revillon FrÈres - was a French fur and luxury goods company, founded in Paris in 1723. The teddy bear coat: cuddly, cosy and big news for 2018 - "The high street has adopted the furry coat this winter, but the roots of the plush, textured garment go back to the 1920s." The Great Fur Caravan - photographed by Richard Avedon, Vogue (October 1966). Three’s a Trend: Men in Fur - The New York Times. Veruschka in perhaps the Most Epic Fashion Story - dedicated to the beauty of furs. BORBONESE - since 1910. Fur coat. Birger Christensen - since 1869. Blackglama - since 1968. "The World's Finest Mink." Blackglama is the world's finest, dark, short-napped mink - Produced exclusively in North America. Braschi - since 1966. "The leading Italian luxury fur brand recognized for its highest quality & unique design." Constant innovation, creativity, tradition and craftsmanship "tailor made", always based on the creations of Maison Braschi. Burberry - since 1856. Women's Shearling Trench Coat. Farfetch - since 2007. "Designer fur & shearling coats." Embrace shearling chic and explore fine fur coats with the opulent selection at Farfetch for a touch of everyday drama. FENDI - "Fur Collection 2018: Iconic and feminine." Striking a balance between pure elegance and style extravaganza, the collection exudes a sense of empowered and polished modern femininity. Fur Outlet - "Fox, mink, chinchilla, sable furs, swakara, lynx, coats." Gianfranco FerrÉ furs - "Visit the latest collections of the most prestigious brands of the International Fur." Harrods - since 1834. "Women's Designer Fur Coats." HELEN YARMAK - since 2012. "Her luxurious fur collection, spectacular jewels and fabulous croc accessories have dressed the fashion elite for the last ten years. The Helen Yarmak brand can be viewed at her exclusive boutiques in Moscow, Milan, Zurich, Odessa and Kiev. Her newest signature boutique is nestled in the famed Plaza Hotel on Fifth Avenue in New York City." HOBBS london - since 1981. "We love the frivolity of sumptuous faux fur. In a selection of jewel tones or timeless hues, choose between statement colored coats, sleek scarves and luxurious faux fur-trimmed accessories." Kopenhagen Fur - since 1930. "Welcome to the world of fur." Kopenhagen Fur is the world’s leading provider of fur, recognized for exceptional quality and sustainable production. 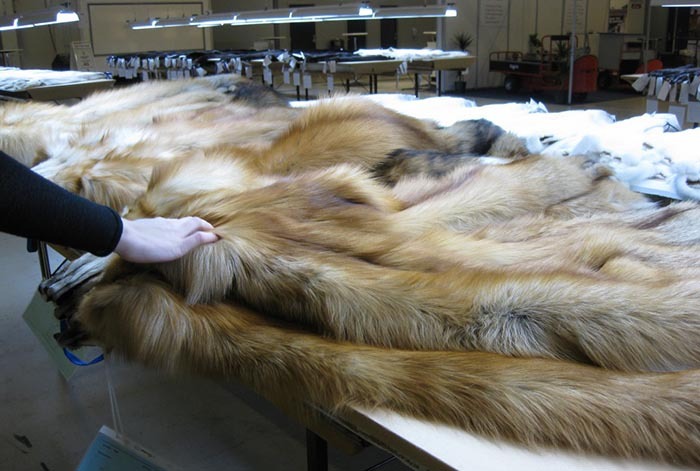 As the world’s largest fur auction house, we provide the best and most comprehensive range of raw fur skin types as well as our unique labelling and grading system, ensuring you the ultimate product. Liska - at Farfetch. "Coats from Liska. Lock & Co. hatters - established 1676. 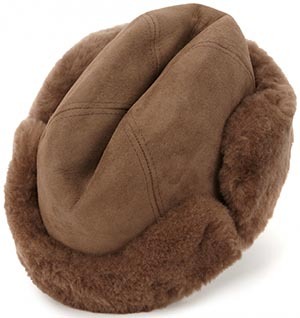 "Luxurious men's winter fur hats." Mala MatÌ - since 1979. "Malamatì’s woman has a natural metropolitan and very contemporary elegance." Mondialpelli Milano - "Furs made in Italy since 1955." Furs Beyond Expectation. Monique Lhuillier - since 1996. Mink coats, jackets & stoles. Nafa - "NAFA’s original roots go back to 1670." NAFA brings over 345 years of experience into the world of fashion. Throughout history, humans have worn fur garments for warmth, durability or glamour. Today, over 500 designers are pushing creative boundaries and redefining fur’s place in fashion. The modern consumer has endless options for expressing their individuality with their fur choices. NAFA provides the finest fur pelts to the world’s top designers, and we take great pride in the quality of our furs, and in the artisanal heritage aspects of our trade. From high fashion’s haute couture to ready-to-wear garments and accessories, we are proud to promote the beauty of NAFA furs worldwide. Neiman Marcus - since 1907. "Furs & Faux Furs." OSCAR DE LA RENTA furs - "Shop our Oscar de la Renta Furs collection online & in-store." PRADA - since 1913. 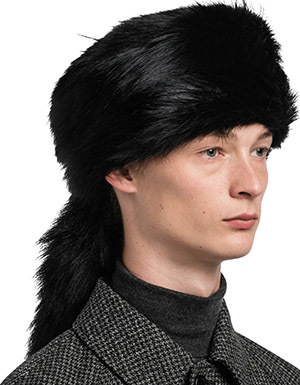 Men's fur hat with fox tail. Purdey - since 1814. Women's fur capes, scarves, stoles & waistcoat. Saga Furs - since 1938. Mink, fox, finnraccoon & karakul furs. Saga Furs offers the world’s broadest selection of superior furs produced exclusively on regulated European farms. The twin values of top quality products and a strict code of responsibility make Saga Furs the choice of designers around the globe. SAKS FIFTH AVENUE - American luxury department store founded in 1867. "The Fur Salon." Fur Jackets & Fur Coats For Women. Stefany furs - "The Stefany company has been working at the Russian market since 1997." We can offer you the leading Italian brands: Valentino, Giuliana Teso, Christian Ghielmetti, de Carlis, Manoel Cova, Julio Tango, Stefania Sarre, Alessandro Vento & Marco Gianotti. Valentino fur coat - at Farfetch. vestiaire collective - since 2009. Designer mink coats, and more. Yves Saint Laurent - at Vestiaire Collective.